The panel pointed out that the river water from Haridwar in Uttarakhand to Unnao in Uttar Pradesh was unfit for human consumption and bathing. 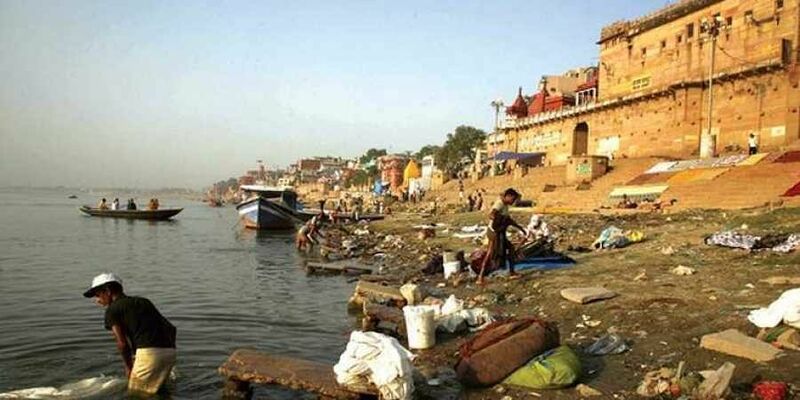 NEW DELHI: The National Green Tribunal on Friday asked the National Mission for Clean Ganga (NMCG) to install display boards at a gap of 100 km along the river, to indicate whether the water was fit for bathing or drinking. “If cigarette packets can contain a warning saying it is ‘injurious to health’, why not the people be informed of the adverse effects (of the river water),” a bench, headed by NGT chairperson A K Goel, said. “Do people of this country know that Ganga water is unfit for drinking and bathing? They perform achamana (purification ritual) thinking that they will go to heaven. Can you imagine which heaven will they go to if they drink this polluted water?” the bench also comprising Justice S P Wangdi and expert members S S Gabrayal and Nagin Nanda observed. The panel pointed out that the river water from Haridwar in Uttarakhand to Unnao in Uttar Pradesh was unfit for human consumption and bathing. “We are of the view that on account of great reverence to the Ganga, innocent persons may drink and bathe without knowing that the water is unfit for consumption. It is of utmost necessity to comply with the right to live of persons using Ganga water and they are put to notice about the fitness of water,” Goel said. It directed the uploading of a map showing where the water was good for bathing and drinking within two weeks.